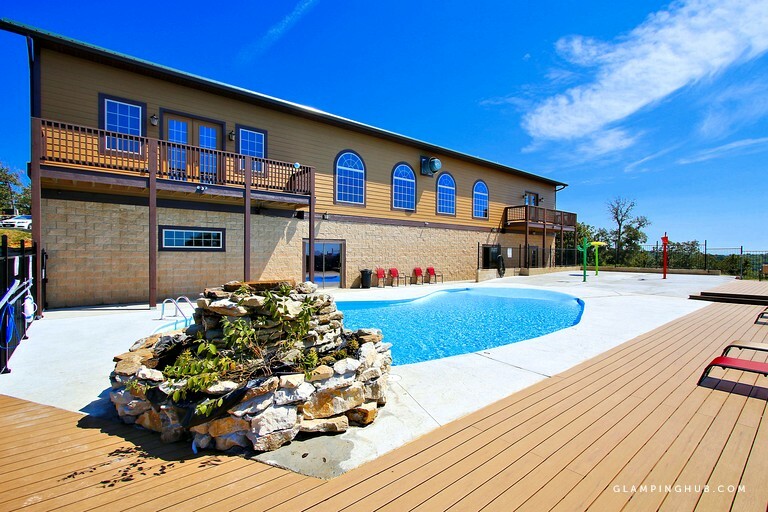 This rustic vacation rental is located near Branson, Missouri, and can accommodate six guests. It has two bedrooms and two full bathrooms. Each bedroom has a king-size bed, a 32-inch television with a Blu-ray player and cable, an overhead fan, and bedside tables with lamps. The bathrooms each have a jetted corner bathtub, a separate walk-in shower, a toilet, and a sink. Linens and towels are provided. In the living room, guests will find a sofa bed, an armchair, a coffee table, an overhead fan, a flat-screen television, and a stone gas fireplace. The fully-equipped kitchen comes with an oven, a stove, a microwave, a refrigerator, a dishwasher, a toaster, a coffeemaker, and a breakfast counter that seats two. In the adjacent dining area, guests will find a four-person dining table. 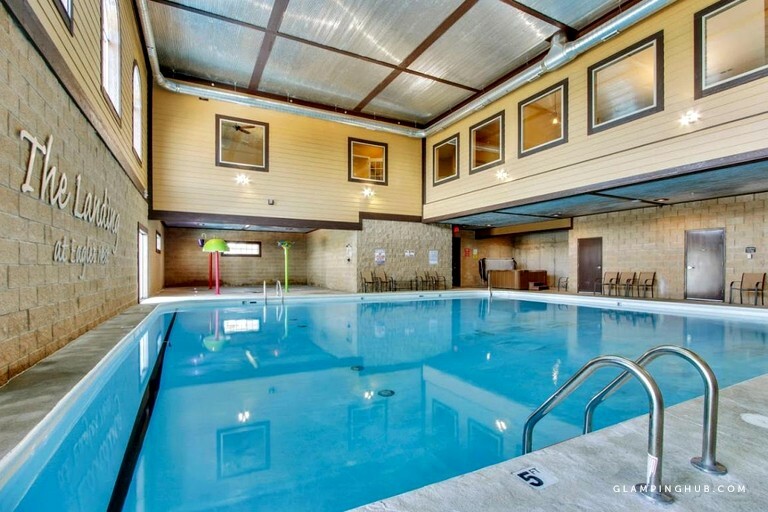 Other amenities include Wi-Fi, a DVD library, board games, a Nintendo Wii, an Xbox 360, a variety of video games, and a laundry room with a washer and dryer. Inside the rental, guests will enjoy Wi-Fi, flatscreen televisions with cable, Blu-ray players, a DVD library, a Nintendo Wii, an Xbox 360, a variety of video games, board games, a laundry room with a washer and dryer, and jetted bathtubs. Outside, guests will find a barbecue grill and a screened-in porch with a table and chairs. 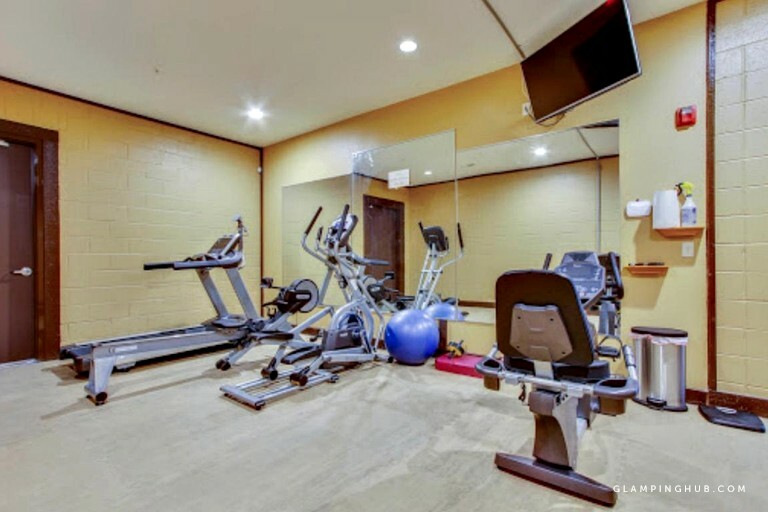 In the gated community to which the rental belongs, guests will also enjoy free access to a hot tub, three swimming pools, three playgrounds, three tennis courts, a basketball court, a sand volleyball court, a shuffleboard court, horseshoes, a fire pit, and a fitness center. 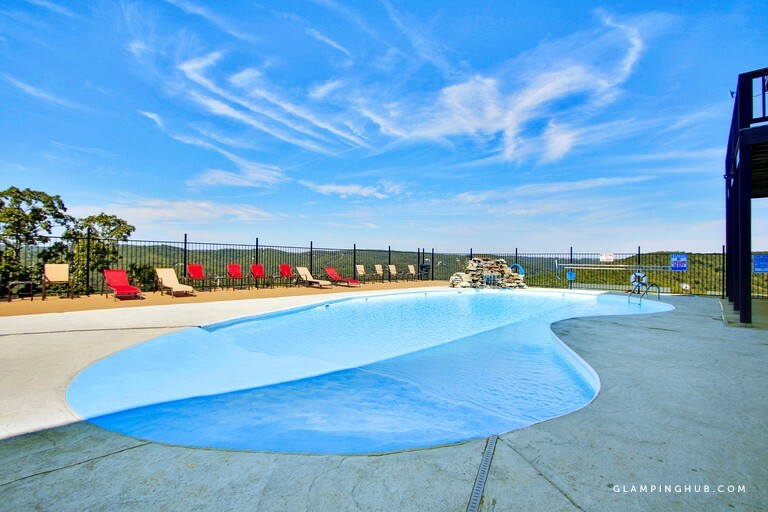 This vacation rental is located in Branson West, Missouri, which is situated within the White River Hills region of the Ozarks. 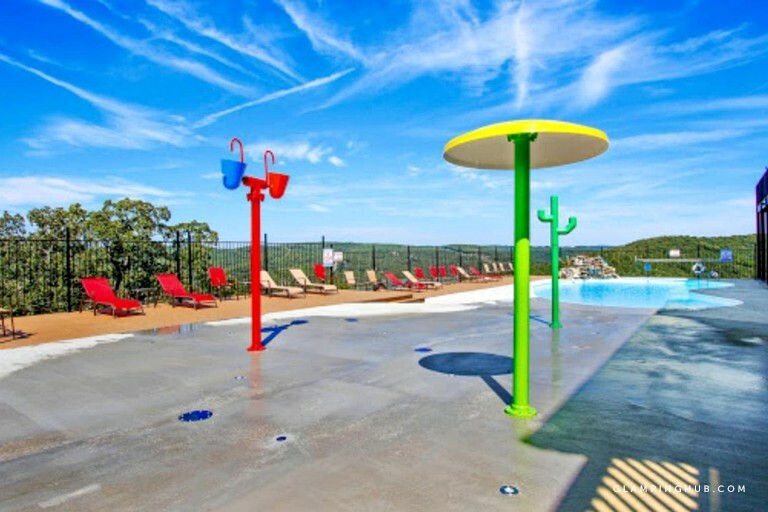 About six miles to the south, guests will find Table Rock Lake, which is surrounded by Dogwood Canyon Nature Park, Roaring River State Park, and Table Rock State Park. The latter is a popular destination for both land and water-based recreation, with a variety of watercraft available to rent and a system of hiking and biking trails that wind through forests filled with oaks, hickories, sycamores, and cottonwoods, which are punctuated by dolomite glades. The lake and the forests are home to white-tailed deer, red foxes, and great blue herons, while the glades are home to roadrunners and collared lizards. To the east, guests will find a portion of Mark Twain National Forest, which is split into multiple zones and districts spread across southern Missouri, comprising 1.5 million acres of land, more than 350 miles of streams, and over 750 miles of multi-use trails in total. The part of the forest near the rental is the Ava District, where guests can enjoy a range of outdoor activities amid an array of oak-hickory forests, shortleaf pine forests, open glades, verdant pastures, winding streams, cavernous hollows, precipitous slopes, slender ridges, and sweeping vistas. These environments, in turn, provide habitats for a variety of wildlife species, including black bears, armadillos, and bald eagles. At nearby Table Rock State Park, guests can enjoy a variety of outdoor activities both on land and on water. At the park's marina, they can rent ski boats, deck boats, pontoon boats, bass boats, WaveRunners, kayaks, canoes, and paddleboards to take out onto Table Rock Lake. In the pristine waters of the lake, guests can also go swimming and fishing for bass and crappie. On the more leisurely side of the activity spectrum, they can go on a cruise on a 48-foot catamaran; on the more adventurous side, they can go parasailing and scuba diving, with a full-service dive facility located at the State Park Dive Shop. On land, guests can go hiking and biking on the Table Rock Lakeshore Trail, the Chinquapin Trail, and the White River Valley Trail System, which consists of four loops. Along the way, they can keep an eye out for the park's abundant wildlife an birdlife, which include white-tailed deer, red foxes, great blue herons, roadrunners, and collared lizards. For even more outdoor recreation, guests can visit the Ava District of Mark Twain National Forest, where they find a variety of trails on which they can go hiking, biking, horseback riding, and ATV riding. For golfing, guests will find more than 10 golf courses in the surrounding area, such as the nearby Ledgestone Country Club. 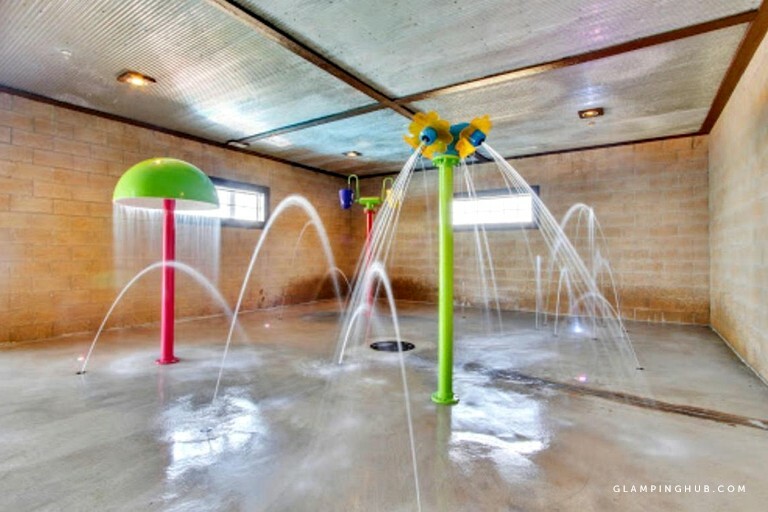 In the gated community to which the rental belongs, guests will find facilities for swimming, tennis, basketball, sand volleyball, shuffleboard, horseshoes, and exercising. Other activity options in the area include visiting the Silver Dollar City theme park and the Titanic Museum.